From race day to training time, the Madshus Hypersonic Class Nordic Ski provides World Cup performance at a great value. 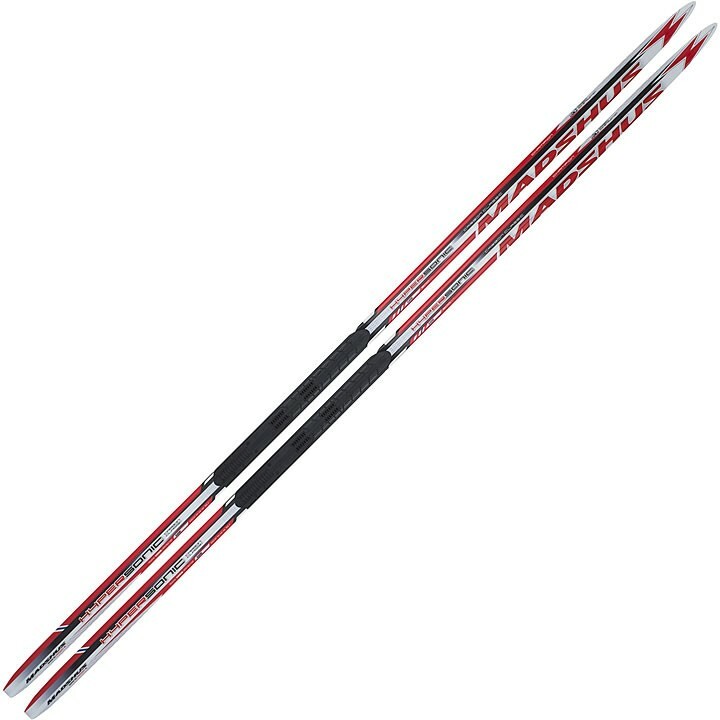 With its long, low camber profile, lightweight PR 90 foam core, and slight splay in the tip and tail, the Hypersonic Carbon Classic cross country ski provides optimal kick and glide in O°C and colder snow conditions. PR90 Core: PR90 is a Triaxial-reinforced Polycell core used on Madshus Hypersonic skis. It has excellent performance properties, such as low weight and dampening. The core is 3D-shaped on some skis to maximize energy transmission, responsiveness and the feel of the ski. Triaxial Carbon Construction: Triaxial Carbon Construction contains a higher carbon content surrounding the core material. This creates a ski that is extremely lightweight, torsionally stiff, and lively. Madshus uses this construction on all of their Champion Series racing skis. P190 Nano Universal: Designed for the speed and performance of their Champion Series racing products, the P190 Nano base comes in three different styles - Cold, Plus, Universal, and Zero CIG. Each style is intended to match up with your normal skiing conditions and waxing needs for the best performance available.